Who the hell approved this mess? It's 2018, and for some unfathomable reason, we're resurrecting the ugliest looks of all time. We've given new life to trends from 2008 and now, we're apparently really into looking like a feudal lord from 1408 England — except now they're called "baby bangs" and they make me want to die. Whoever told you this was a cute look probably has it out for you, I'm sorry to say. Not even Queen Bey can pull off this horrendous look, which really says it all. What I always wondered is who would hate you enough to let you to walk out of the door like this and tell you it looked chic? Is this really what we're calling a look? It literally turns any forehead into a fivehead. and I'm pretty sure this is how we fucked up every cut on doll hair in throughout kindergarten. One thing I despised about the baby bangs look is that anyone who wears them looks terrified. I'm not sure if it's due to the combined factors of the fivehead and wide eyes that make people look so awkward or the fact that the wearer realizes what a huge fuckup they've made by cutting their hair at all. 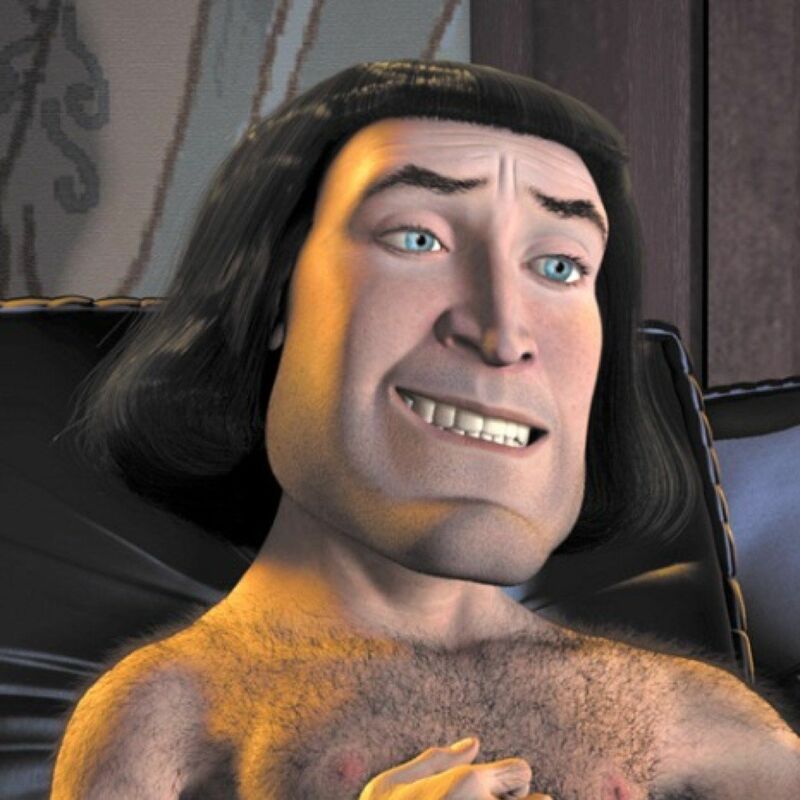 Like look me in the eyes and tell me that isn't Lord Farquaad and not the otherwise-beautiful Kat Von D.
I personally think it's a look for mentally unstable serial killers, but by all means, wear it to send a message to the dickweeds on your hit list. Or whatever you have to tell yourself to get through the day.